Dennis Pittenger speaks at the Seed Bank at 7pm April 30, 199 Petaluma Blvd. N., Petaluma. The event is free. For more info, go to www.copperfieldsbooks.com. 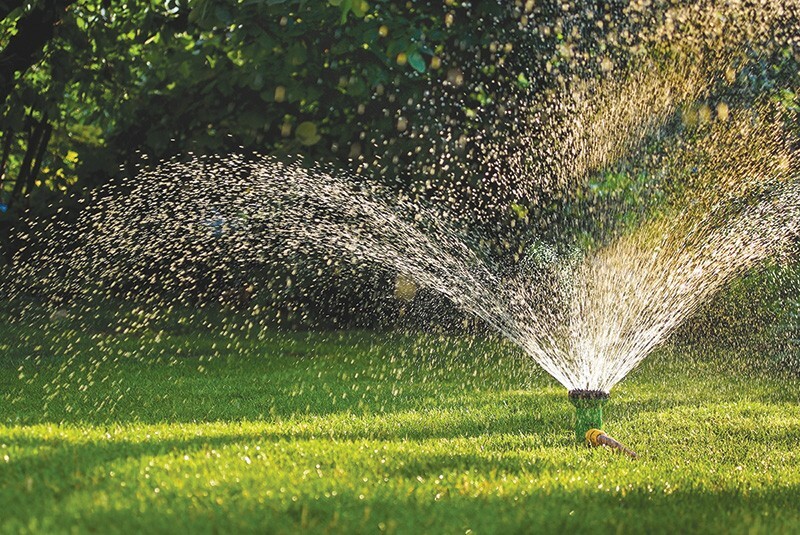 WORD TO THE WATER-WISE You don't have to kill your lawn, but you do need to be smart about watering. Life, John Lennon sang, happens when you're busy making plans. It's also what happens when a group of 20 authors spend seven years updating the California Master Gardener Handbook. The text was first published 10 years ago and served as the go-to book for the more than 6,000 master gardeners and countless backyard gardeners in California. The new edition has been significantly updated and revised to make it more reader-friendly and comprehensive. It took so long because each of the 21 chapters had to be peer-reviewed. But now that the 755-page tome is finally out in print and online (for the first time), we find ourselves in a nasty drought. Is a book about planting things and watering them hitting the shelves at exactly the wrong time? Not at all, says Dennis Pittenger, co-author and editor of the book. Pittenger, area horticulturist for the UC Cooperative Extension in Los Angeles County, is a lifelong Golden State gardener. He points out that drought is common in California. So are floods and fires. But none of those phenomena means gardening has to go. It can actually help alleviate the drought and climbing temperatures. In conjuction with Copperfield's Books, Pettinger will be appearing at the Seed Bank in Petaluma April 30 to talk about the new book and how North Bay gardeners can cope with the drought. One thing you should not do is abandon your yard, he says. "I think there's a lot of potential to save water without totally renovating your landscape," Pettinger says. Fixing leaks and clogged emitters and correcting overspraying can yield water savings of about 10 percent. Another tip is not to overwater. Obvious, but Pettinger says too often gardeners water their grass with the rest of the yard. Lawn and turf need the most water so should be watered separately. Flowers and woody plants need about 40 to 50 percent less than lawns. And what about lawns? Shouldn't people who water their lawns be rounded up and locked away? There are several warm-weather varieties of grass like buffalo, Bermuda and St. Augustine that use 20 percent less water than others varieties. The downside is they turn brown in winter. He also recommends letting grass grow as long as possible. Longer grass holds more water. Rock gardens aren't necessarily a solution. Rather than letting water rush off into the gutter during a storm, a lawn can draw water deep into the soil where it can used. "Grass has benefits, but we don't need wall-to-wall turf," Pettinger says. No one knows when this drought will end, but it surely won't be the state's last. The time to learn about how to live with it and within our means is now. "The drought is a timely and a timeless topic," says Pittenger. "It's a good educatable moment."